While throughout a majority of its range the Canada lynx is widespread and abundant, in the eastern part of Canada and the northern USA, the population is declining. This is in part due to competition with the coyote (and other predators) and habitat fragmentation. 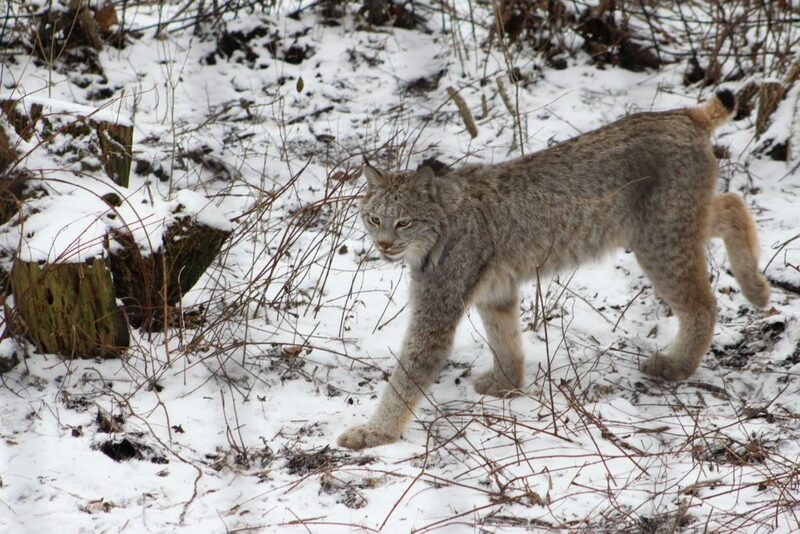 Trapping Canada lynx for furs is highly regulated in Canada and Alaska. In the contiguous USA, the Canada lynx is listed as threatened, so the trapping of this animal is illegal. Native to North America, it ranges from the Arctic treeline, south into parts of the northern United States. They are found throughout much of Alaska and Canada. 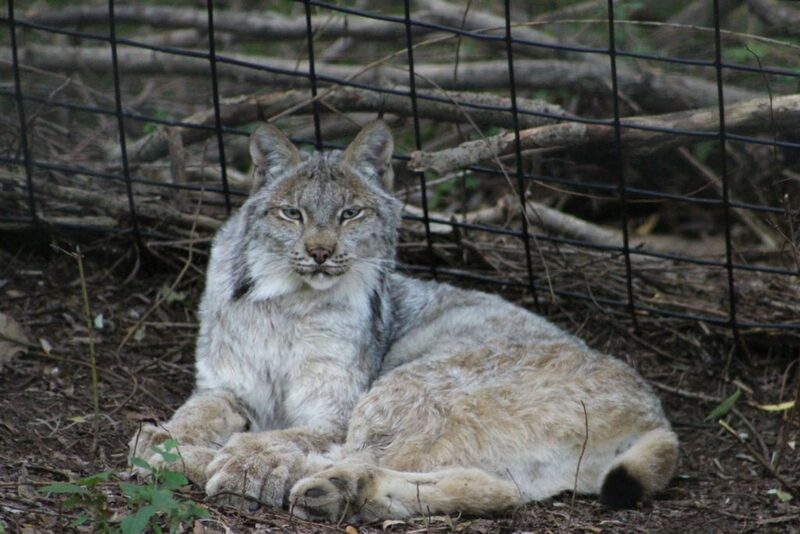 They can have a home range on average from 15-50 square kilometers, but can be up to a few hundred km2. 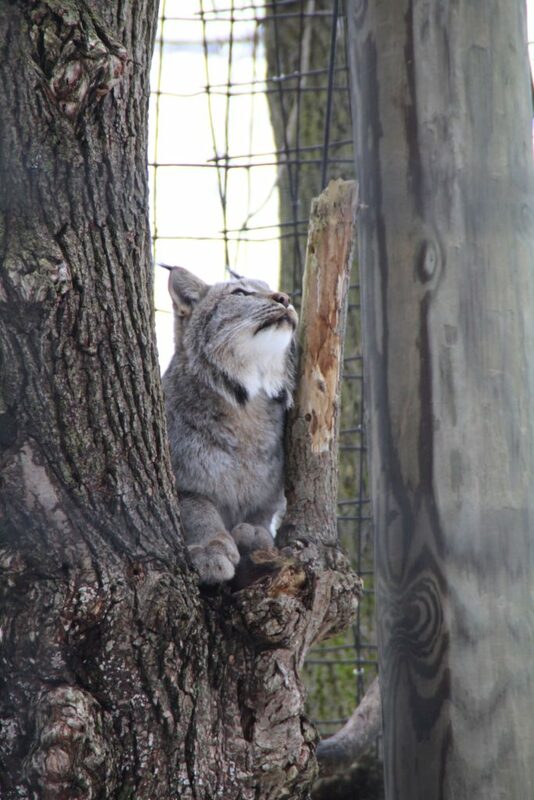 The Canada lynx is typically found in dense forests, but may be located in more open forests and rocky areas as well. 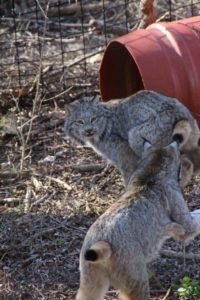 The breeding season is from March to April. 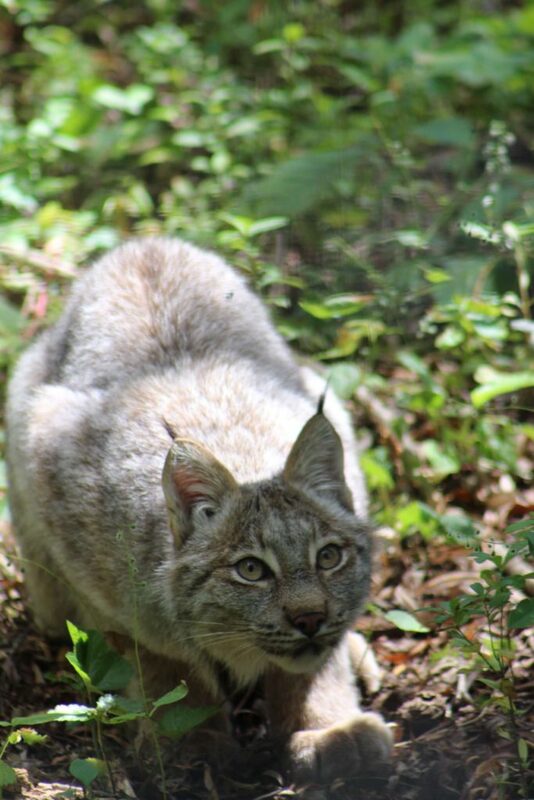 At this time, there is an increase in the amount of vocalizing and scent marking of territories. They are independent by 10 months old. Females can reach maturity anywhere from 10 months to 2 years, which is dependent on food availability. The less food available, the longer it will take to reach sexual maturity. Males reach sexual maturity at 2-3 years. In the North, the Canada lynx relies heavily on the snowshoe hare for food. 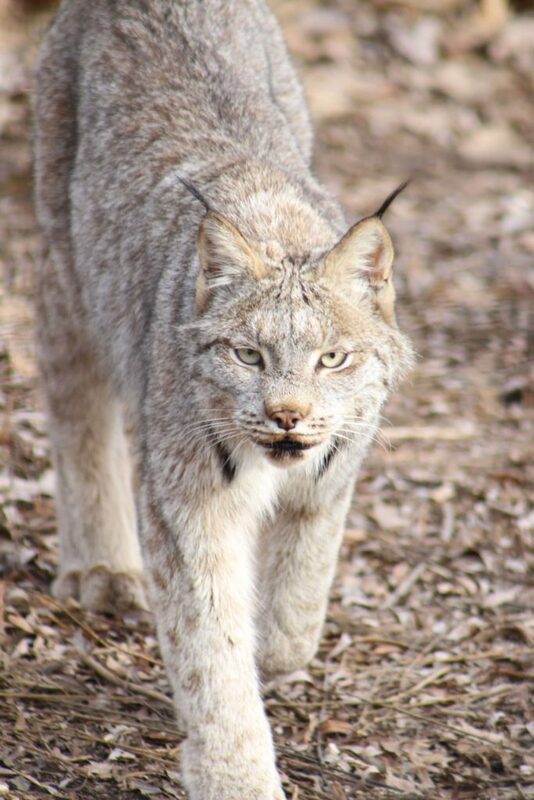 When the snowshoe hare population is low, the lynx population follows and vice versa. 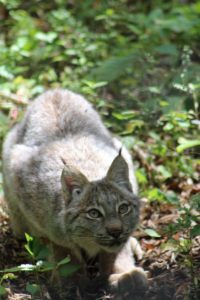 Up to 97% of their diet may be snowshoe hare. 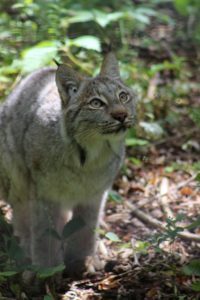 In the southern parts of its range, the Canada lynx will eat rodents, birds, fish, and even large animals such as deer if they can (after the rutting season in particular). They will feed on animal carcasses left behind by humans. 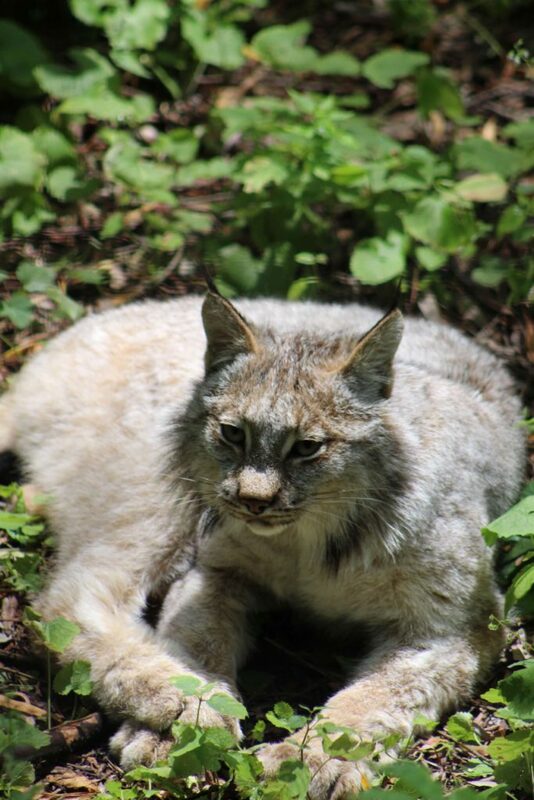 The Canada lynx is a sight hunter and will either stalk their prey closely, or lie in ambush. They tend to be nocturnal, but can be active during the day. When taking shelter, they will make a bed beneath a rock ledge, fallen tree, or shrub. They are generally solitary, but may be seen in groups containing a mother with her offspring. 1. 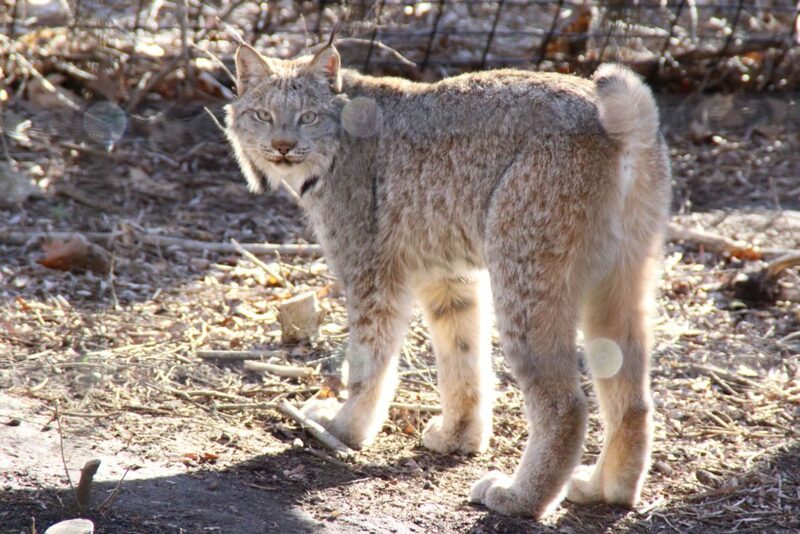 Their large paws are used as snowshoes to allow them to walk on top of the snow. 2. 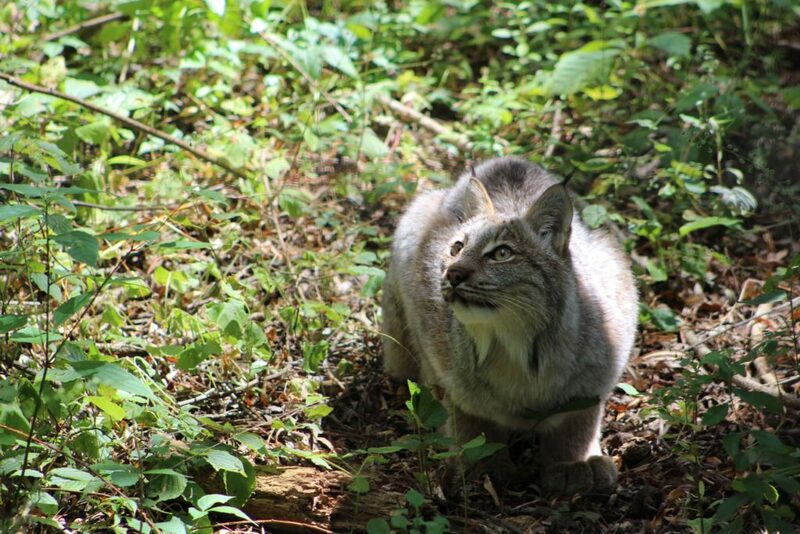 The chemistry of their urine changes with each season so as to allow them to attract or repel other lynx. 3. 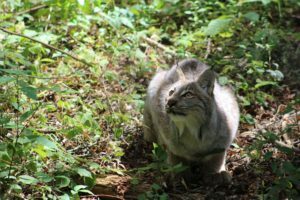 Fire is important to the habitat of the Canada lynx as it creates an environment with various successional stages, allowing for denning sites and better foraging areas.